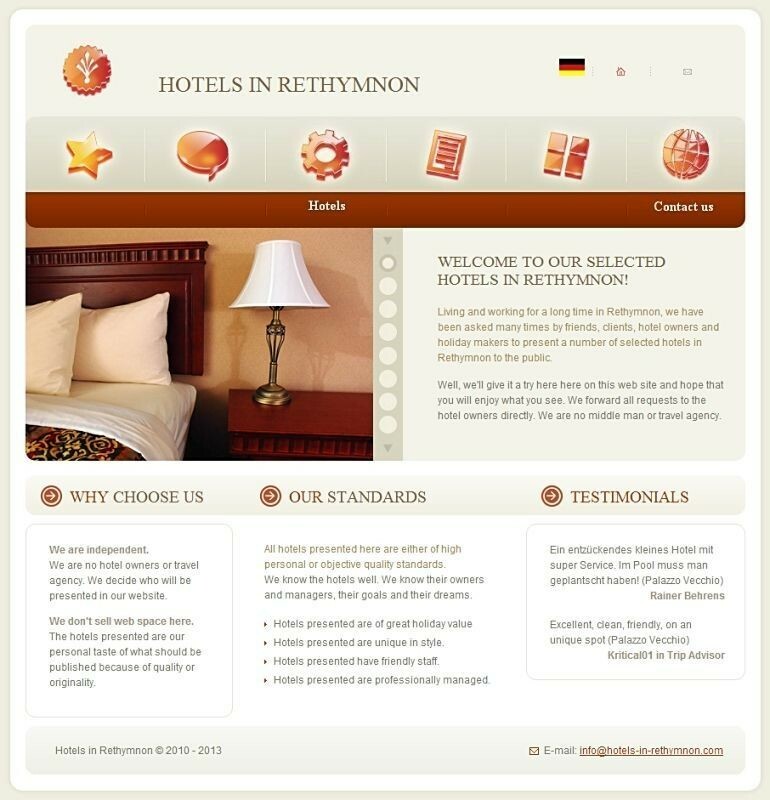 Living and working for a long time in Rethymnon, we have been asked many times by friends, clients, hotel owners and holiday makers to present a number of selected hotels in Rethymnon (For our website, please click here to check!) to the public. Well, we’ll give it a try here here on this web site and hope that you will enjoy what you see. We forward all requests to the hotel owners directly. We are no middle man or travel agency. We are independent. We are no hotel owners or travel agency. We decide who will be presented in our website. We don’t sell web space here. All hotels presented here are either of high personal or objective quality standards. We know the hotels well. We know their owners and managers, their goals and their dreams. Hotels presented are of great holiday value. Hotels presented are unique in style. Hotels presented have friendly staff. Hotels presented are professionally managed.